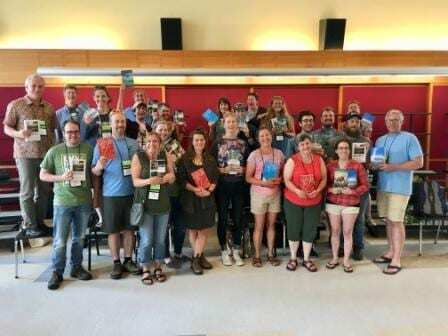 From June 24-29 at Phillips Exeter Academy in Exeter, NH, the Environmental Literature Institute (ELI) held its third annual week-long professional development institute for secondary and higher education teachers. 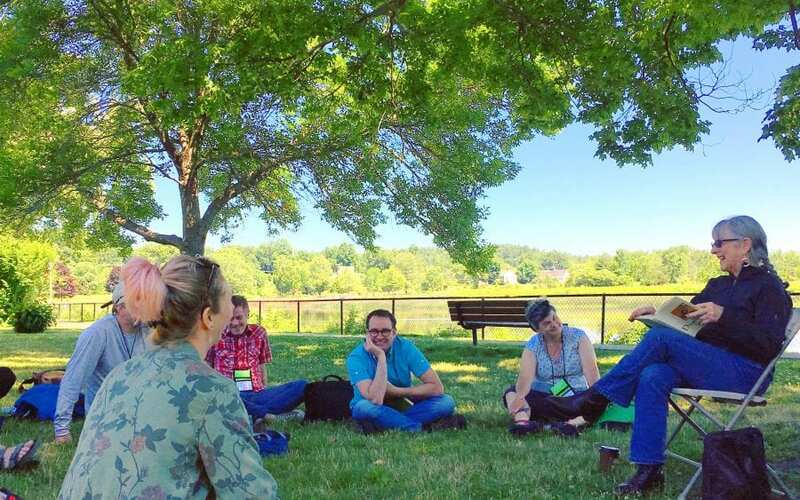 ELI provides a space for participants from around the country and from a range of contexts and backgrounds to join a growing Environmental Humanities education community and develop their own courses, curricula, and programs. In addition to Jason BreMiller, Stephen Siperstein, and Mark Long, the 2018 ELI leadership team included Annie Merril of Davidson College and Laird Christensen from Green Mountain College. Annie led morning workshops on environmental justice and natural history, and Laird led participants in a two-part workshop on place-making. Also in attendance were Chelsea Steinauer-Scudder, co-editor of Emergence Magazine (who led a workshop on multi-genre writing); Andy Fersch, founder of the Penn School (who contributed his knowledge of starting an educational nonprofit); and Sophie Robinson, executive producer of the 2016 climate change documentary The Age of Consequences (who hosted an evening screening of her film). The week began with a grounding in place. 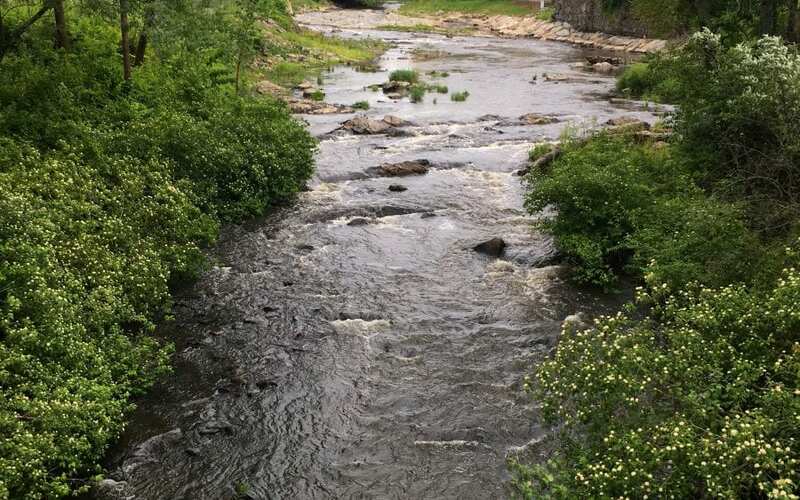 On Monday morning we trekked down to the Exeter River–where the town had recently removed the Great Dam–and were joined by Paul Pouliot, Denise Pouliot, and Kathleen Blake, members of the Cowasuck Band of the Pentacook Abenaki people, along with Svetlana Peshkova, Professor of Anthropology at the University of New Hampshire. Paul Pouliot helped us reemphasize the indigenous narrative of the place; as he put it, “it’s important to remember that there was a time before the dam.” Out of this experience emerged some important questions that participants considered throughout the week, most notably: How can the work we do in our classrooms and Environmental Humanities education in general contribute to the larger project of decolonization? Linda Hogan leads a field-based creative writing workshop. In the afternoons, participants and leaders collaborated during cross-pollination sessions, further building on ideas from the morning workshops and developing participants’ own courses and curricula. 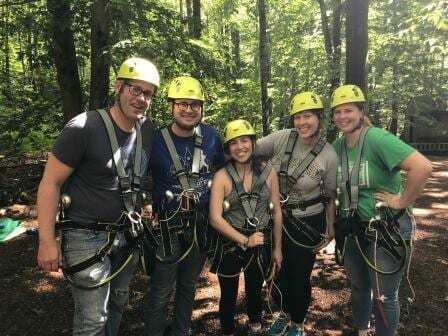 The week was also punctuated by community building activities, whether in the form of a ropes course adventure and Andy Goldsworthy art walk at the nearby ALNOBA center, a field trip to Rye Beach, or a socializing event at local nano-brewery Throwback. On the final evening, the group gathered at The Word Barn, a nearby community space that hosts readings, concerts, and writing workshops–an inspiring hub for emergent public humanities work. As part of a night of celebration, individuals from the group shared their poetry and other reflections from the week. Registration for ELI 2019 will open in November, 2018.